Yesterday, the world tragically lost one of its greatest thinkers of all time, Stephen Hawking. 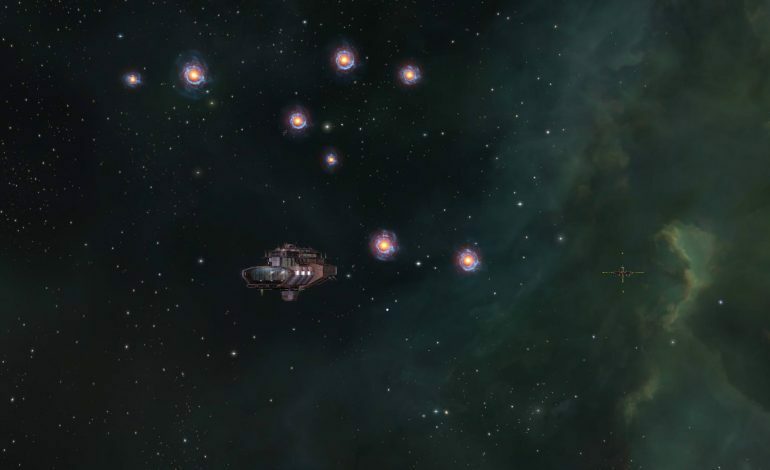 His contributions to theoretical physics and cosmology have been invaluable, and because of his heavy influence in cosmology, players all across EVE, the space-based MMORPG, took it upon themselves to pay their respects yesterday. Stephen Hawking was most known for his work on the theory of general relativity, black holes, and coining the term Hawking radiation. Although the complexities of his research escape most, he popularized cosmology through children’s books, guest starring on shows such as Star Trek and The Simpsons, and appearing onscreen alongside other scientific minds such as Carl Sagan, Niel deGrasse Tyson, and Arthur C. Clark. Through his appearances and work, he made generations of people fall in love with space, and inspired many others to start their own cosmic endeavors. To honor the late scientist, many players lit cynosural beacons in many parts of the space world. Normally, cynosural beacons are used to have other ships jump to the beacons location. This is usually a sign for alarm since the beacons are used to call the cavalry during times of warring player factions. In addition, these beacons can only be activated in areas with little or no NPC police intervention, and these beacons leave a ship immobilized for quite a while to allow other players to easily take down the ships. In this case, however, they were used as a sign of peace, unity, and trust throughout the community. One player even went above and beyond and traveled to Molea, a system that contains EVE‘s player-run graveyard. The graveyard orbits a moon in the system, and it contains graves of dead players that have died during battles, or empty graves that are tributes to real people that have passed. In the graveyard, the player left a small tribute to “the man who spoke to the universe”. More screenshots of the event can be found over on a related EVE Reddit post, which has been dubbed “The Last Honor”. Although Stephen Hawking’s time with us is now over, his legacy will continue to echo through space and time forever.